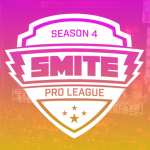 Pulling off upset after upset, the squad known as Team Rival (formerly CycloneGG) fought all the way to the Grand Finals of the 2017 SMITE Spring Gauntlet. The cherry on top of the sweet victories was a 2-0 sweep of SoaR in the final set. 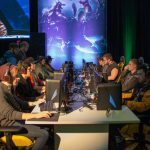 Thanks to their efforts, the two teams will join NRG as the three qualifiers for the SMITE Masters LAN at the end of April. The level of competition between the 14 teams at the event was staggering. 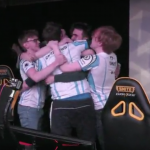 Ismael “KikiSoCheeky” Torres returned to the scene leading an NA Challenger team called Oxygen Supremacy, and they blew away most teams in their path, going on a 7 game winning streak against the likes of Flashpoint, Noble, and Team Allegiance. However, a run in with Pro League team In Memory of Gabe was too much for the plucky Challenger squad who fell 1-2 on Friday. 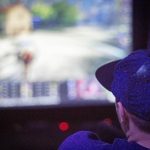 Sunday, current World Champions NRG found themselves in trouble on Sunday when Team Rival came away with a rare 2-1 LAN win against their EU brethren. NRG were close to not making it to the Masters, but a lackluster performance by eUnited against the world champs would not present any danger, and they won their set and the wildcard bid for the tournament. 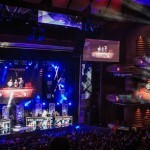 The teams were competing for a seed at the SMITE Masters LAN, which boasts a $120,000 prize pool. 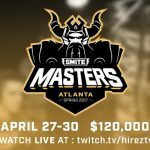 The SMITE Masters LAN kicks off Thursday, April 27th at the Hi-Rez Esports Arena in Alpharetta, Georgia.